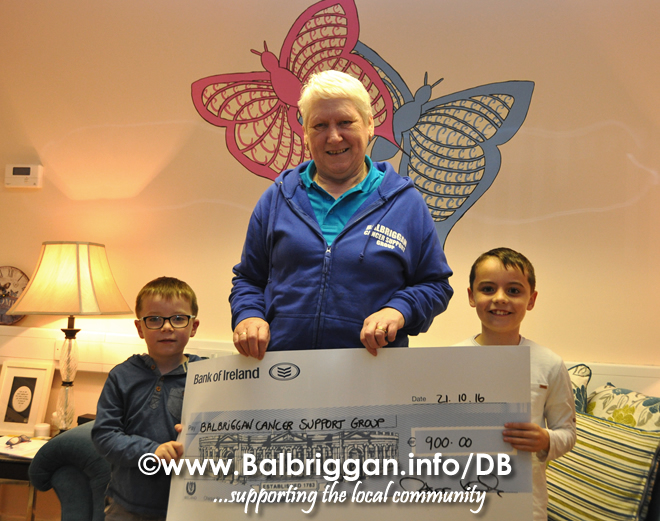 On Friday the grandchildren of the late Peter Kelly presented a cheque to Balbriggan Cancer Support Group. The cheque was proceeds from the Charity football match with Balbriggan XI and Balscadden XI that was held in memory of Peter Kelly & Joe Carr back in July. €900 was raised at the match in memory of these two great men and Balbriggan Cancer Support Group would like to thanks all the players and the supporters for this fantastic donation.